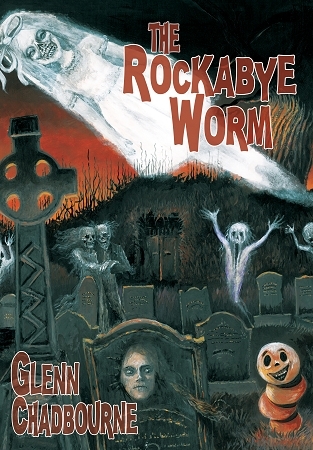 The Rockabye Worm first came into being as song lyrics Glenn Chadbourne wrote a few years ago. Over the years he and some friends decided to cope with the harsh Maine winters by forming a silly little rock band called Nick Noxious and the Necrophiliacs. Glenn was a great lover of punk music back in the late '70s and '80s so all the tunes lent themselves to that flavor. He thought about a host of creepy kid’s rhymes and poems about worms playing piknuckle in your snout, etc., and then his tune about "The Rockabye Worm" was born. He thought it might make for an amusing illustrated story so he set to work. 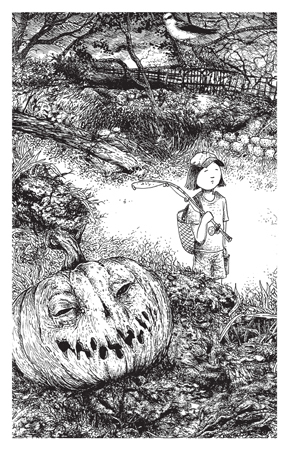 Glenn uses his trademark pen and ink drawings to create a fun little snack with a creepy-fun sort of atmosphere for those a bit bent, such as himself, and who like their gallows humor. New York Times bestselling author Christopher Golden calls it: "A twisted little ditty. 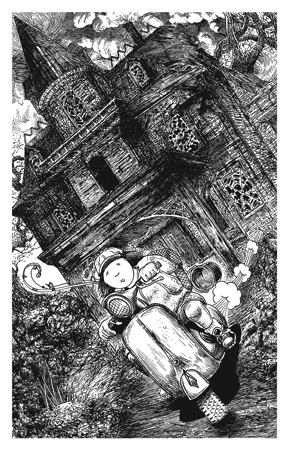 Only Glenn Chadbourne could give us something simultaneously this adorable and this grotesque. Chadbourne's art is a balm for the horror fiend's soul. He shows a master's eye for detail and a jester's sense of mischief. Instead of illustrating someone else's stories, he's stepped up and created his own at last, and it's playfully grim madness. All I can say is, I want more." Limited to only 52 copies in the world, signed and hand-lettered by the artist. Each copy includes a unique work of art painted/drawn directly onto the book's endpapers by the artist, making each copy an original. "A twisted little ditty. Only Glenn Chadbourne could give us something simultaneously this adorable and this grotesque. 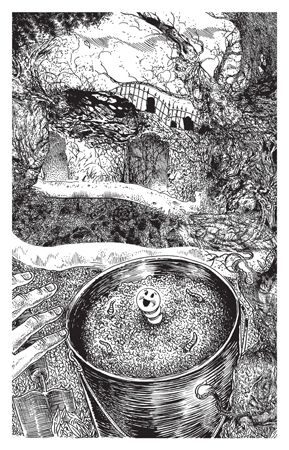 Chadbourne's art is a balm for the horror fiend's soul. He shows a master's eye for detail and a jester's sense of mischief. Instead of illustrating someone else's stories, he's stepped up and created his own at last, and it's playfully grim madness. All I can say is, I want more."